For many tourists, Paris conjures up images of stately boulevards, world-class museums, chic outdoor cafes and the Eiffel Tower. But it’s also a vibrant city in flux for the millions of people who live there. Tramuta, 31, is no stranger to adapting to a new culture, having moved to the City of Light from Philadelphia 10 years ago. She recently sat down with TODAY to share her tips for enjoying Paris like a local — without spending a fortune. 1. Get a bird’s-eye view (that isn’t from the Eiffel Tower or Arc de Triomphe). While climbing up one of the city’s monuments is a rite of passage for many, Tramuta suggests a less-crowded, kid-friendly option: the air balloon at Parc André Citroën in the 15th arrondissement. “It's something so unique, and you get this fantastic view of the city that's very different from if you're going to climb to the top of the Arc de Triomphe or you're going to go up in the Eiffel Tower,” she said. For 12 euros (about $14) for adults, and 6 euros for kids (it’s free for children under the age of 3), the balloon takes passengers nearly 500 feet in the air — meaning you can actually enjoy views of the city’s impressive landmarks, and then indulge in a picnic at the park afterward. 2. Rent an apartment that borders the 7th and 15th arrondissements. Staying near the intersection of these two neighborhoods gives you access to some of the city’s key landmarks with the best value. In particular, Tramuta recommends the area called La Motte-Picquet, which is technically in the 15th. “You've got access to plenty of metro lines and you can walk to a number of the landmarks,” she said. Another fine option is the Marais, which has terrific access to public transportation, along with many boutiques. Paris is also Airbnb’s biggest market by active listings, and the home-sharing site has broadened its scope to include activities (like this popular one at the Louvre) and guidebooks. Additional housing options are available through Haven In, Paris Perfect, HomeAway, VRBO and many other services. 3. Avoid traveling in July and August if you can. 4. Seek out farmers markets and local grocery stores. Instead of buying food and snacks from restaurants or small shops in touristy areas, seek out grocery stores filled with locals doing their everyday shopping. Stock up on big bottles of water, and pick up prepared sandwiches, quiches, salads and snacks. Tramuta suggest buying fresh fruit from one of the local stands or farmers markets. “You can get in one place some bread, some cheese, maybe some cured meats, some fresh dairy products like some fresh yogurt,” she said. You can even find organic rotisserie chicken and a side of potatoes for under 10 euros. Another thing to keep in mind when budgeting: Paris doesn’t have a tip culture. So you’re not adding an additional 18-20 percent to what you’re paying. 5. For family-friendly restaurants, bigger is better. If the idea of bringing your young child into a fancy French restaurant is intimidating (who can forget “Bringing Up Bébé,” the best-selling book on the wisdom of French parenting? ), opt for larger dining spots. Tramuta recommends Champeaux, Alain Ducasse’s neobrasserie in Les Halles, for that quintessentially Parisian experience — without the stuffiness. “You can get some of the classic French dishes that I think adults will want: very good steak, good chicken, beautiful salads, well-cooked fish, fantastic desserts,” she said. The restaurant is modern, and has a fun, interactive quality for kids with its train board-style menus. It also offers all-day service, and is located in the heart of the city, within walking distance to the Louvre and a number of shops, bakeries and grocers. 6. Learn to say “bonjour,” “au revoir” and other niceties. In a globalized world, where many people speak English and technology greases the wheels of communication, it may be tempting to keep to yourself and just rely on Google Translate and TripAdvisor to get around. But putting in a little effort to learn some basic French phrases will certainly make your trip more pleasant. “French people especially are really appreciative when you try,” said Tramuta. But, she warns, always say hello when entering a shop of any kind — don’t open with a question. “Even in a clothing store, you haven't purchased anything, but you're leaving the store, you just say, ‘Merci, au revoir,’” she advised. To brush up on your linguistic skills, try any pocket language books, or apps like Duolingo or Memrise. Google Translate can also help with signs: Just snap a photo of the foreign text, and highlight whatever you want to translate with your finger. Voila! 7. Free and inexpensive activities abound if you know where to look. Like many top international cities, Paris is moving toward a more pedestrian-friendly environment, particularly along its revitalized riverbank. “You can stroll, ride bikes, have a drink at one of the cafes, but they also have activities for kids” — like free access to board games and play areas right along the water, said Tramuta. Another inexpensive way to see much of the city without the hassle is on one of the many boat cruises along the Seine. “If you're pressed for time, it's a fun activity, and it allows the kids to get a really good picture of the city,” she said. And the summer months bring extra activities, like Paris Plages, which creates a faux beach for families to enjoy near the river. The Parc de la Villette also has an open-air cinema series in the summer, which starts at sundown (that’s typically around 10 p.m. during the long days of the season). 8. Bring back original souvenirs — without breaking the bank. Of course your sister wants a Chanel bag, but why not bring back something she can’t find anywhere else — and at a fraction of the price? That means hitting Paris’ many flea markets. Le Marche aux Puces at Clignancourt is well-known, but it’s a bit pricier than other antique markets. Instead, try the one at Vanves, recommends Tramuta. It’s slightly less frequented by tourists, and you can negotiate on items like silver trays, vintage spoons and glass vases. Along the river, you’ll find booksellers called bouquinistes, which can be identified by their forest-green trunks. While some sell trinkets, you can also find old books, and vintage French advertisements, movie posters and postcards that you can frame back at home. For housewares and other small souvenirs that are distinctly Parisian, Tramuta recommends the area south of Pigalle in the 9th arrondissement, and particularly the north Marais and one section of the 10th arrondissement. On the Rue du Chateau d’Eau, a housewares shop called La Trésorerie has handcrafted dish towels, cooking accessories and other responsibly made goods made by artisans in France and abroad. And no stop in Paris is complete without visiting French pharmacies, those treasure troves of skin care and beauty products that many French women swear by. While brands like Nuxe and LaRoche-Posay are now readily available in the U.S., the local prices can’t be beat. Your glowing skin, and wallet, will thank you later. Robin Kawakami is the senior travel editor at TODAY. Follow her on Twitter and Instagram. 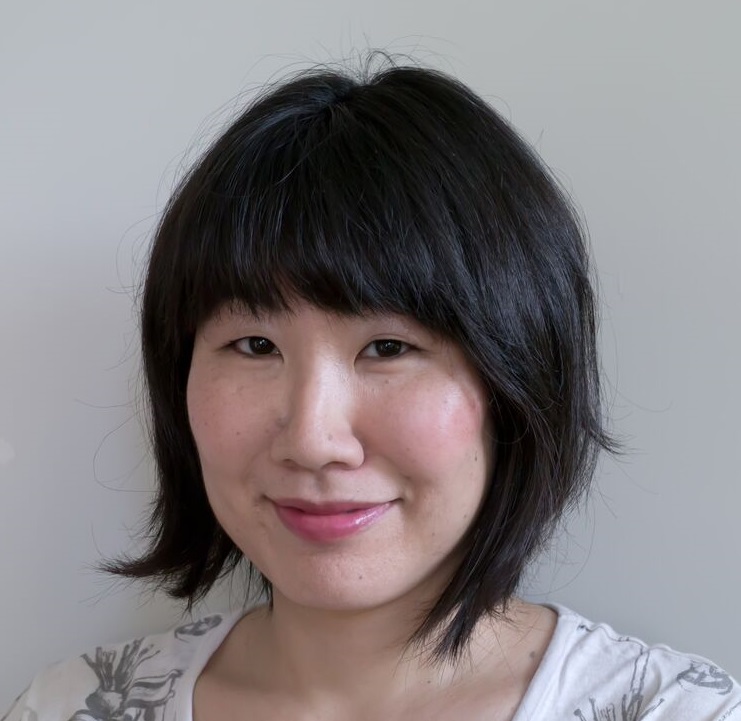 Robin Kawakami is a senior editor, travel and money, at TODAY. Follow her on Instagram.